Nobody likes to pay taxes. However, the pill is easier to swallow when everyone pays their fair share. It's increasingly clear that in Canada -- and in most industrialized countries -- many are not. We have a two-tier system where the wealthy and the corporations can escape their obligations, and the rest of us can't. Close up on a file tab with the text tax avoidance, focus on a yellow, note where it is hanwritten legislation, blur effect. A basic principle of any modern democracy is equality before the law. That principle includes tax law. Nobody likes to pay taxes. It is often said that it is the price to pay for civilization. After all, they help pay for our schools, our roads, our health-care system and a social safety net that helps decrease income inequality. However, the pill is easier to swallow when everyone pays their fair share. It's increasingly clear that in Canada -- and in most industrialized countries -- many are not. We have a two-tier system where the wealthy and the corporations can escape their obligations, and the rest of us can't. 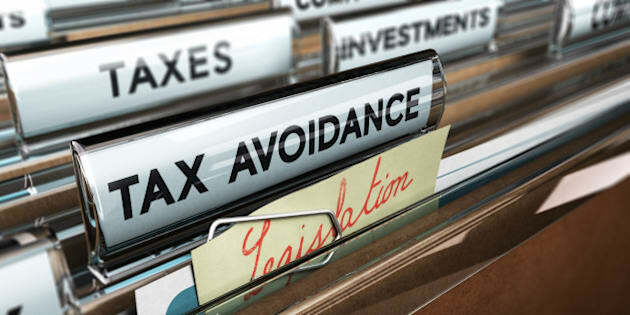 As early as 1992, the auditor general of Canada pointed out the dangers of this unfair situation, when it warned that "Avoidance mechanisms also have a negative effect on the equity and integrity of the tax system and on public attitudes toward voluntary compliance. Access to such mechanisms is usually limited to those who can afford expensive advice. Those who cannot, therefore, may be denied equitable or even-handed treatment." In a lengthy, but tone-deaf two-page answer, the finance department rejected the auditor general's recommendations and didn't even bother to address the fairness question that it raised. The auditor general of Canada, in successive reports in the last 25 years, warned the federal government that our tax system is a sieve, particularly as it relates to the use of tax havens. Because a situation is legal doesn't mean it is moral. It is legal because parliamentarians, as lawmakers, allowed this state of things to prevail. According to Statistics Canada (2015), affluent Canadians and corporations have about $200 billion stashed away in various tax havens that saves them -- and cost us -- up to $8 billion a year in tax revenues. Canadian foreign direct investment in Barbados increased from $56 billion in 2011 to $80 billion in 2015, more than our total foreign direct investment in Asia and Oceania (including China, Japan and Australia). Barbados, a country with a population the size of Gatineau, ranks only behind the United States and the United Kingdom as Canada's choice destination for "investments." In the Cayman Islands, it increased from $17 billion in 2006 to $49 billion in 2015. This is more than double Canada's investments in other G-7 countries (France, Germany, Italy and Japan), in a country with a population of 58,000. These are funds that are declared and sheltered legally, because tax laws are written and interpreted in ways that allow those who send them offshore to get away with this preferential treatment. It doesn't even include the unreported income that is sheltered to evade taxes. But because a situation is legal doesn't mean it is moral. It is legal because parliamentarians, as lawmakers, allowed this state of things to prevail. Canadians are more and more exposed to this reality, with regular reports on the scope of the problem. In the last eight years, we have seen scandals involving KPMG and the Isle of Man, the Panama Papers, the Swiss UBS tax evasion scheme, the Liechtenstein tax affair, the Luxembourg Leaks and others. Canadians do feel that the system is unfair, that the game is rigged. The KPMG scheme at the Isle of Man, in particular, has shown that when affluent people try to evade taxes through dubious schemes, they are given a second chance. They can, through a "voluntary disclosure program," admit to their cheating after which they are asked to pay back the money they owe in taxes. Discounted interest, no penalty. On the other hand, ordinary Canadians are assessed penalties doubling or tripling the amount due for good faith errors. Canadians do feel that the system is unfair, that the game is rigged. They want everyone paying their fair share, and to ensure that affluent Canadians and corporations contribute to the social costs and to the infrastructure investments of this country. But clearly, the system is broken. Why don't we fix it? There has been, and still is, very little appetite by successive governments to tackle it. In the next few weeks, this series of op-eds will clearly demonstrate that half-baked measures, reassurances by the minister or announced spending measures cannot work. And will not work. The problem is systemic in nature. To put an end to tax evasion, aggressive tax avoidance, double standards and the culture of secrecy, we need to reform the system in Canada and on the international scene. There is a broad Canadian consensus that this issue must be tackled aggressively.